A true baller understands the physicality of the sport and what playing basketball can do to one’s body, as well as the benefits of selecting the best basketball shoes suited for your game. It is no secret that basketball players put a lot of miles both vertically and horizontally onto their feet. With that being said, many people suffer injuries such as plantar fasciitis, heal spurs, jumpers knee, sprained ankles, all for the love of the game. However, the risk associated to injuries can be mitigated via purchasing the best basketball shoes for your style of play, as well as a pair of basketball ankle braces. Obviously, one wants a bang for their buck, but one cannot stress enough how important it is to start from the bottom up when it comes to reducing stress on the body when it comes to basketball. The aim of this is to provide input and information to readers on the best basketball shoes across various areas of the basketball spectrum. If ball is life then the top basketball shoes will lead to a longer playing life for the recreational player all the way up to pros. Nike Air Zoom Huarache 2K4 Kobe All Star Mens Basketball Review: Kobe Bryant used to wear is the best basketball shoe ever. On the best basketball shoe pyramid, what is the best basketball shoe ever? Simply put, there is not anything else someone could ask for out of a basketball shoe that the Nike Air Zoom Huarache 2K4 does not provide. The shoe is extremely lightweight and soft as if one were walking on feather-stuffed pillows. It provides plenty of flexibility as to not put too much stress on the arches of one’s feet. The higher ankle support and ankle strap helps with the ability to safely and skillfully stop and cut on a dime. Let’s remember, Kobe Bryant was a skillful guard that did a lot of his work posted up. If this shoe can survive the onslaught that Kobe brought to it on the court, then it most certainly can survive the wear and tear of a recreational baller. Under Armour Mens Curry 3 Basketball Shoe Review: Guards are a breed of their own. A guard has to have the ability to move both laterally and longitudinally in short yet very powerful bursts. This shoe is meant for your prototypical guard that stays a little closer to the original definition of a guard. The best shoe for a guard is the Under Armour Curry 3. The shoe is dynamic and bold. It allows a shooter to shoot and a slasher to slash. The shoe provides enough support and comfort to spot up and enough freedom to allow for fancy footwork while dribbling. The shoe also comes in a variety of bold colors to announce your arrival. These shoes are meant to allow guards to set the pace of the game with speed and movement. That is why they are considered the best basketball shoes for guards. Nike Air Jordan XX9 Mens Basketball Shoes Review: To the causal basketball player, comfort is probably the most important thing when it comes to a shoe. This begs the question, what is the most comfortable basketball shoe? The Air Jordan XX9 wins my vote. In the heel, there is the ZOOM Air technology; this provides plenty of comfort for individuals that like to play outdoors as well. The traction on it is great as well which has long lasting tread. The Air Jordan XX9 incorporates Air Jordan Flight Plate technology which compresses and deflects the strain one puts on their feet while executing basketball related moves. With this technology, you can actually feel how the shoe compresses and decompresses with each step on the court. When you can actually feel comfort in your step, that is when you know it is working. Thus, the Air Jordan XX9 lands as the most comfortable basketball shoe. Nike Mens Kyrie 2 Basketball Shoe Review: Phil Knight, as the founder of Nike, makes it a joy for basketball players to shop for Nike shoes. Having worn a lot of different brands, Nike shoes are consistently the best. The best Nike basketball shoe out right now is the Kyrie 3. It is durable and breathable. With the rounded sole and extra traction on the side of the shoe, it gives ballers the chance to be dynamic in their movements without slipping. The grip on the shoe is incredible in that it has dual pods that grip the floor when attempting to change directions. I consider this to be the best Nike basketball shoe out right now because the game is changing. The game now calls for players to rely less on set plays and more on instincts which turns into a fast a fluid type of game. That is exactly the way Kyrie Irving plays the game. Nike Mens Lebron Soldier 10 Review: Rolled or sprained ankles are never fun to deal with. There have been many cases where the scenario was even worse and a player suffers a broken ankle. The best basketball shoe for ankle support is the Nike Men’s Lebron Soldier 10. This shoe features a no-lace strap system. This is a very supportive system in that one straps in their lower and upper foot as well as their ankle. These straps may slightly limit mobility, but for those with a history of ankle issues, this is the right shoe for you. It’s also convenient not to have to worry about whether your shoes are untied; this shoe limits distractions in order to keep you focused on the task at hand. The compression of the inner sleeve serves as back up support for the straps. Let us just say that your feet are locked in! Nike Womens Hyperdunk 2016 TB Basketball Shoes Review: The women’s game is different from the men’s game. Let us not try to hide the fact that women are built differently; therefore, the athletics are different. Women, in general, require a little more support when it comes to their ankles. The best women’s basketball shoe for ankle support is the Nike Women’s Hyperdunk 2016 TB Basketball Shoes. The extended top wraps around the ankle to allow players to move freely yet in a supported fashion. It is a light weight shoe that will allow players to glide in transition; however, players will feel the support while making cuts. The shoe also offers the Heel and forefoot Zoom Air technology which provides comfort and traction to the floor. Although this shoe offers great ankle support, it does not limit multidirectional mobility. The Heel and forefoot Zoom Air is an attractive shoe that offers both functionality and fashion on the court. Nike Jordan Mens Air Jordan XXXI Basketball Shoe Review: Are you an individual with wide feet? This tends to put a damper on basketball shoe shopping. However, and thankfully, Nike has realized that this is a problem and has a great solution. The best basketball shoe for wide feet is the Air Jordan XXXI. This is a shoe worn by the likes of Russel Westbrook. If you have seen the athlete that he is and the way he attacks the rim then you know this shoe can take quite a beating. It has an inner sleeve to provide cushion and comfort to its users. It also comes with state of the art shoe technology. It is a little on the pricey side, but when it comes to comfort and mitigating nagging injuries, this is the best shoe for players with wide feet. The Air Jordan XXXI is very flexible and form fitting allowing it to adjust to some of the widest feet in the game. Nike Kobe 8 System Mens Style Review: Having flat feet is a basketball player’s nightmare. Especially in a sport that requires quick cuts, continuous running, and the ability to jump. The best basketball shoe for flat feet is the Kobe System 8. These shoes come with quite the price tag, but with the technology that it incorporates for flat footed individuals it is well worth it in that it will form to a player’s soles to provide leeway and support at the same time. The flexibility in the shoe will help your arch build strength over time. The shoe also allows for a much lower custom orthotic to be placed in it which provides additional support custom to your needs. As with all Kobe shoes, they are lightweight. However, these are low top shoes and should only be worn by avid to advanced basketball players as there is not any real ankle support; know what you’re doing on the court. Athletic Propulsion Labs Mens Concept 3 Review: Do you want an increase in your vertical leap? Who would not want to increase their measurable? Basketball is a game of inches so any advantage that a player can get is preferable. The best basketball shoe for jumping is the Athletic Propulsion Lab Concept 3. It features a Load ‘N Launch technology that can increase your vertical leap by up to three inches. This shoe provides such an advantage that the NBA banned it. For a casual basketball player, there are no bans on shoes worn to the park. The shoe is designed with a stiff sole to give its users optimal jumping ability. A shoe with cushion in the sole will detract from one’s ability to jump. It is a high ankle shoe with support to withstand the constant beating of one’s feet against the ground. Jumping is taxing on the knees and joints, but with this shoe and its breathability and support, you will be able to absorb the majority of the blow. Nike Mens Lebron XIII Low Basketball Shoe Review – Avoid: The worst basketball shoe is the Lebron XIII Low. Not only is this shoe hideous to look at in both its design and color scheme, it is not traditional in the basketball sense. This shoe is not recommended to any recreational basketball player in that it is an expensive shoe and you are not receiving a bang for you buck. There is a fine line between being innovative and intoxicated and this shoe stumbled right over the line to intoxication. These shoes are an expensive and overhyped. Steer clear of these shoes and spend your money elsewhere. Nike: Bill Bowerman and Phil Knight founded Nike in 1964 as Blue Ribbon Sports. The company was originally a distributor for what is known today as Asics. It was not until 1971 that the company became Nike Inc. Nike was founded with just $1,200 in the bank. The first shoes that Nike produced had the soles made from a waffle iron; Nike has decades of experience in creating basketball shoes. Funny story, all Michael Jordan wanted to do was wear Adidas basketball shoes, but instead Nike found their way to him. Michael Jordan has not played basketball professionally since 2003 yet he is still the athlete with the highest paid Nike endorsement. The majority of ballers know Michael Jordan to be the greatest basketball player of all time. So why not be like Mike? Adidas: On August 18, 1949, Adi Dassler founded Adidas. Some people like to say “All Day I Dream About Soccer”, but Adidas also has a rich history in creating and developing high quality basketball shoes. In fact, Adidas was the first company to release a player-endorsed sneaker. In 1971, a pair of sneakers were emblazoned with Kareem Abdul Jabbar’s smiling face; these came to be known as the Jabbars. This was the start of a new-era in which athletes and corporations would collaborate to create custom designs with player’s input. Adidas has been attracting big time basketball superstars since 1969. Some of these names include Jabbar, Maravich, and West. With such a rich history and continued success, Adidas comes in as one of the top three basketball shoe creating corporations. Under Armour: In 1996, Kevin Plank founded Under Armour. Oddly, it started because Plank, as a special teams football player, did not like to change his cotton t shirts during two a day practices; those would be quite sweaty. In the basketball shoe world, Under Armour is still an infant when compared to the likes of Nike and Adidas. However, Under Armour is growing fast and has shoe deals with Stephen Curry, Brandon Jennings, and Emmanuel Mudiay. Obviously, Stephen Curry is the cream of the crop when it comes signing a contract with a basketball player. For Under Armour to continue its growth and its ability to steal marketshare from the giants, it will need to land deals with elite basketball players. Stephen Curry is just the tip of the metaphorical iceberg in Under Armour’s larger scheme. When it comes to buying basketball shoes there are a variety of factors to consider. First off, are you a low, mid, or high top kind of person? When I mention this, it means do you like your shoe to be cut below your ankle (low top), slightly above or below your ankle (mid top), or significantly above your ankle (high top)? For ankle support purposes, but also leaving the ability to be fluid in my motions, I’ve always been a fan of mid top shoes. They are the best of both worlds. The next thing one must consider is their split between comfort and performance. A shoe with a lot of cushion will be comfortable to wear, but it may also hinder your performance. If a shoe contains a lot of cushion you are more likely to slide and you will not be able to jump as high as a shoe with less cushion. I suggest a shoe with less cushion, but doubling up your socks to prevent blisters. Just like anything else this is all a matter of preference. The material of a shoe is important and then there comes laces versus straps versus Velcro. I would say stick to leather shoes with a rubber sole. This allows for breathability and traction when gripping the floor. I am also a little old school in that I like to tie my shoes. I think there is something to be said mentally about tying one’s shoes before going to work. 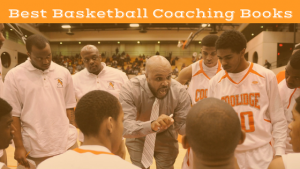 It is a mental advantage I’ve learned about from some of the best basketball coaching books around. Realistically, Velcro shoes that strap over eachother are functionally better and less of a nuisance or distraction, but I am not on board with them. When it comes to the best basketball shoes available, what a baller wants to look for are traction, durability, support, fluidity, comfort, leaping ability, and any advantageous design that will allow you to be the best player that you can be. Someone can be highly skilled, but with subpar equipment, they will look mediocre to good at best on the court against players that are good, but have the right equipment. This is not a secret. When you show up ready to play, then you will put on a spectacular performance. Remember, basketball starts at the base … your feet.